Over time this building has housed a number of differing shops. In the photo it is the office of H.O. Iles the estate agents. It its time it has been a pet shop, Petsway and in the 1920s was the business premises of Essex Homes Co. Ltd. who did a lot of local development including Crown Road. before WW2 the upstairs was a hairdressers for a period of time. 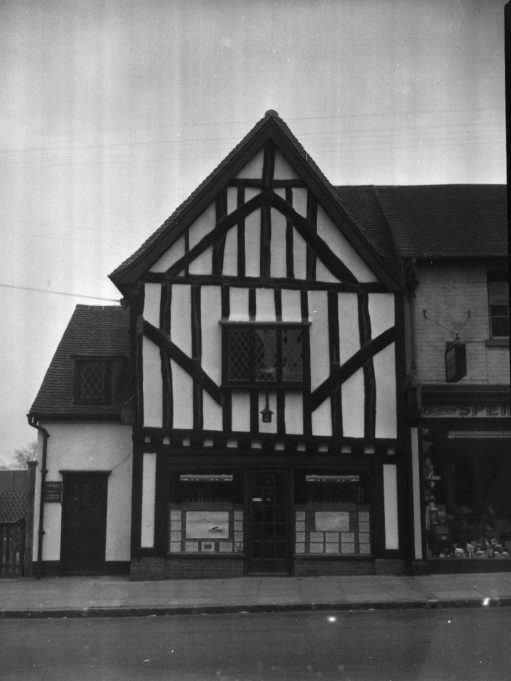 The building is a gabled south cross wing of a former 16/17c timber framed house. The upper story has a shallow jetty and exposed timber framing with windows having 20c leaded lights. The timber framing was at one time rendered, see photo by clicking here. The shop front is 20c.